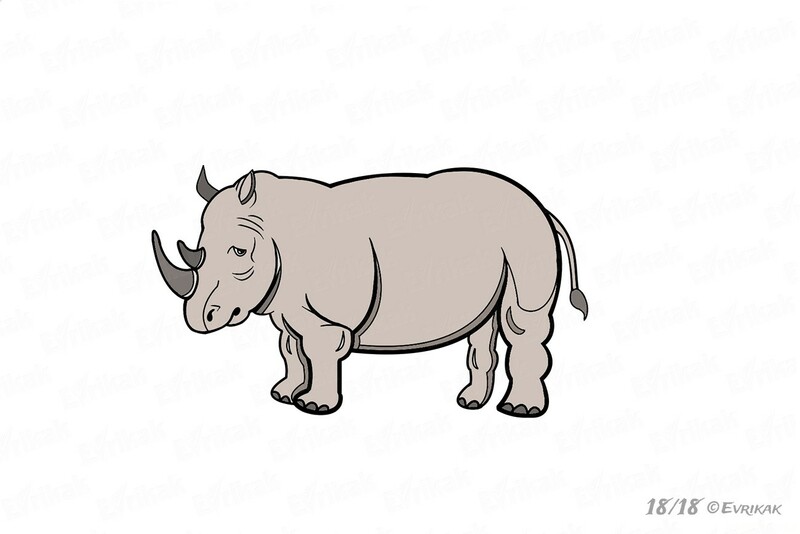 A rhino is an animal of Africa and it’s the second largest animal after the elephant. 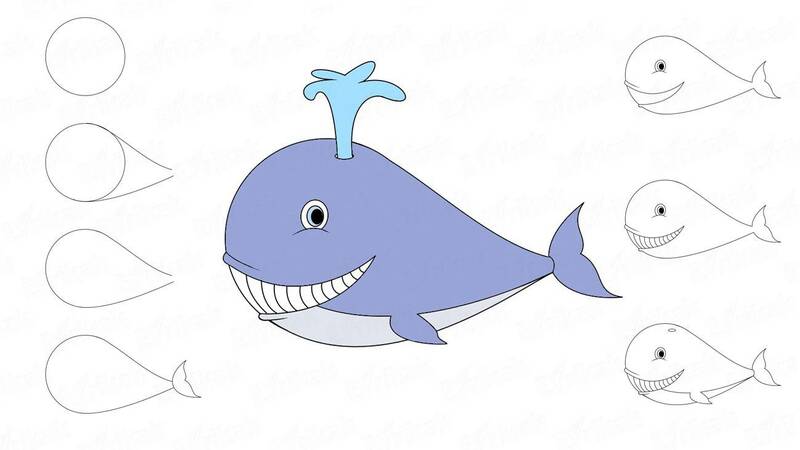 It’s very strong, and its two horns scare off predators. If you have drawn the African Savannah with your child, we offer you to draw a rhino in order to draw it in the African landscape. 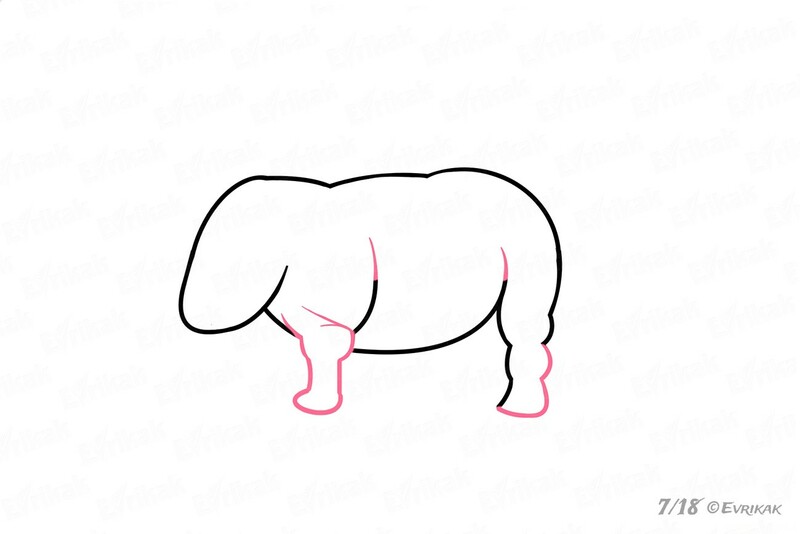 Draw an additional figure – an oval of a medium size, which looks like animal’s body. 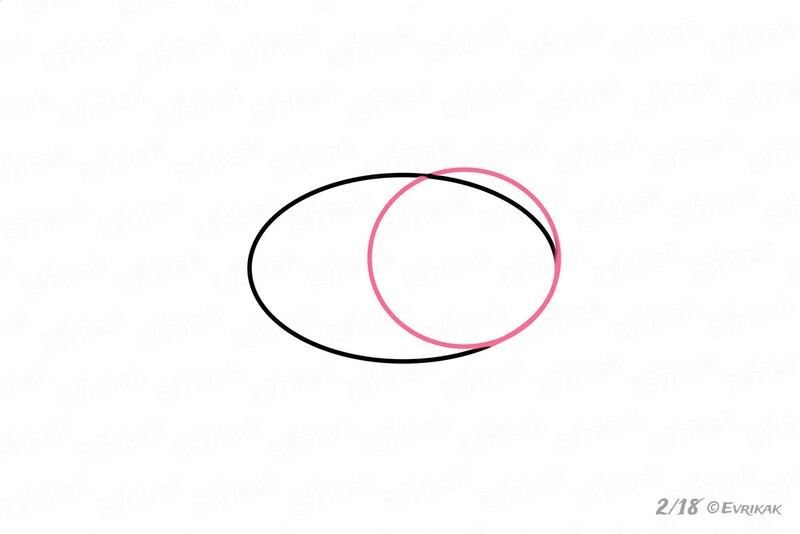 Draw a circle on the right side of the oval. The top of it must go beyond the contour of the oval. 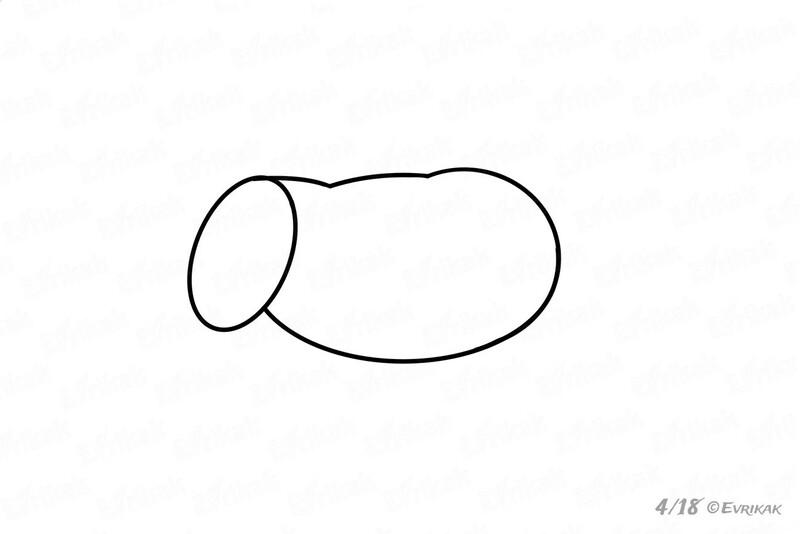 Draw the head’s contours in the form of an oval and connect it with the body using a curved line. Correct the contours of the neck, making them more massive. 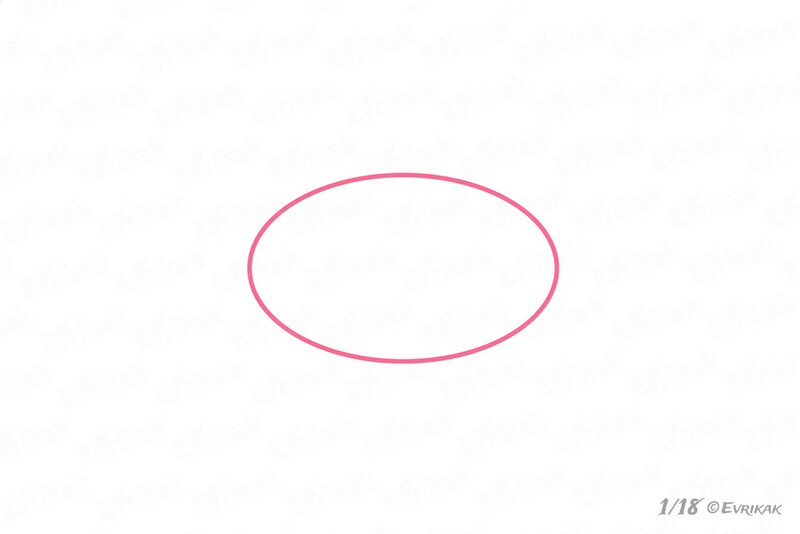 Make the head’s contours more rounded and erase part of the oval’s line. Start to correct the contours of the body, giving it the right shape. 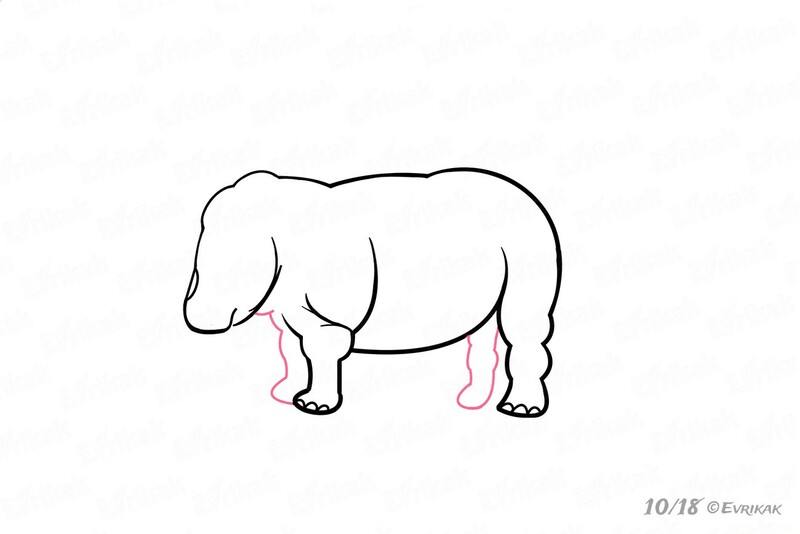 Start drawing a front pair of legs. 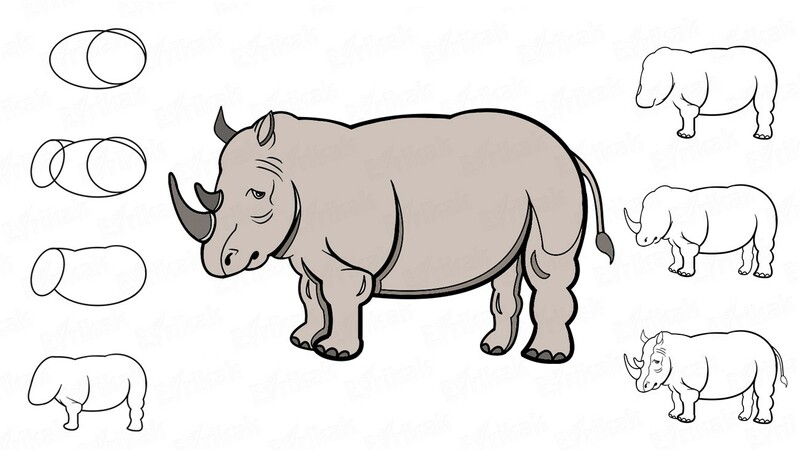 The rhino’s legs are uneven and short, slightly widen at the bottom. It’s for its safety. 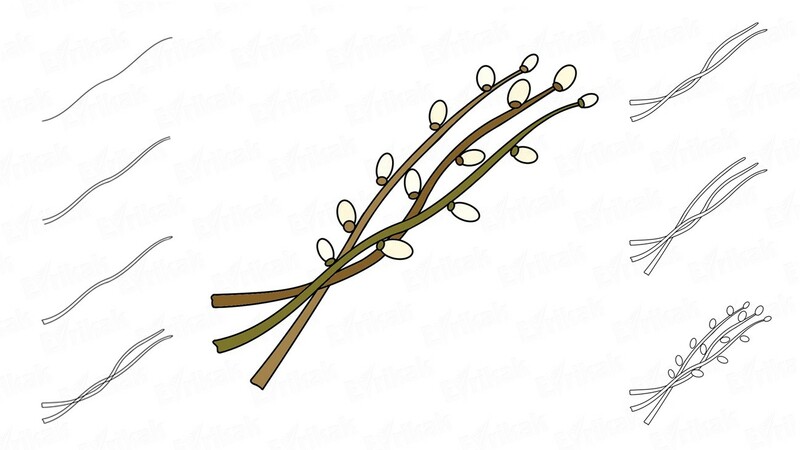 This form of the limbs helps not to fall. 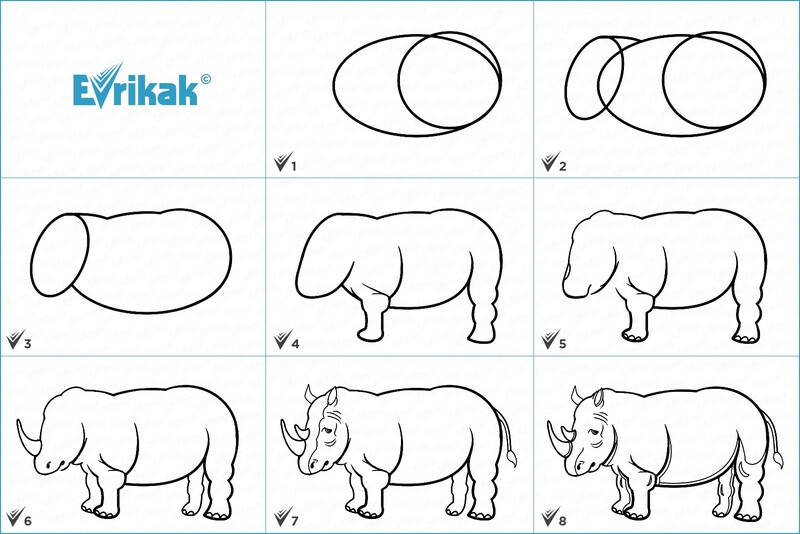 Make the head’s contours with the help of wavy lines. Its feet are divided into a few large toes. 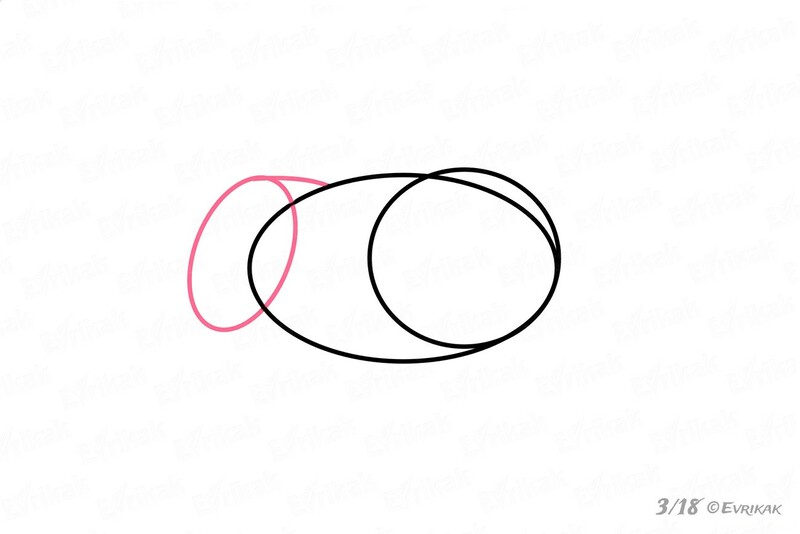 Draw them in the form of semicircles. 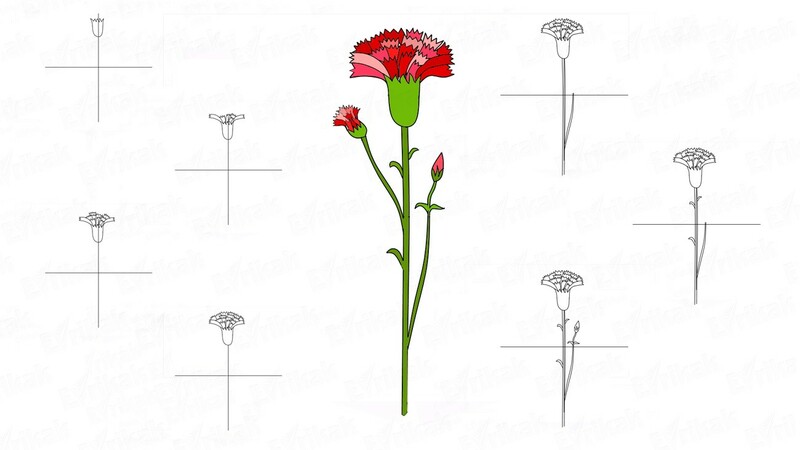 Draw the second pair of the legs smaller because they are further. The legs must be on one line. Don’t forget about small details. 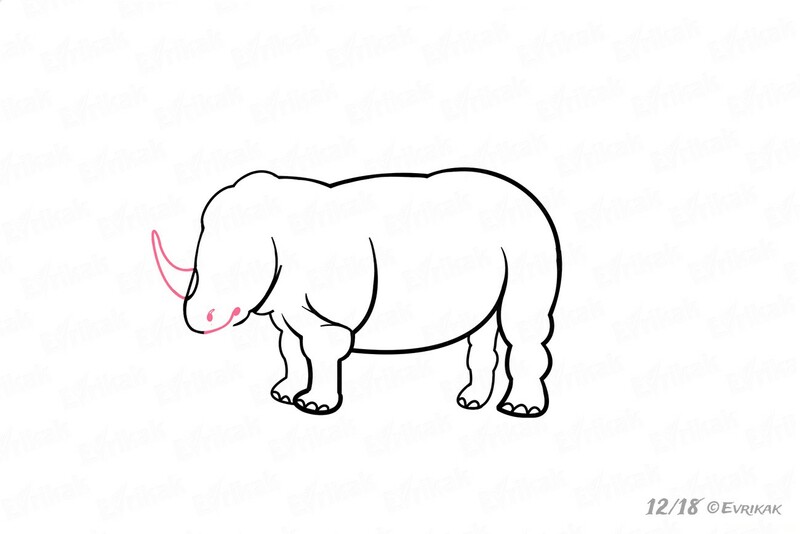 Draw large curved horn at the top. 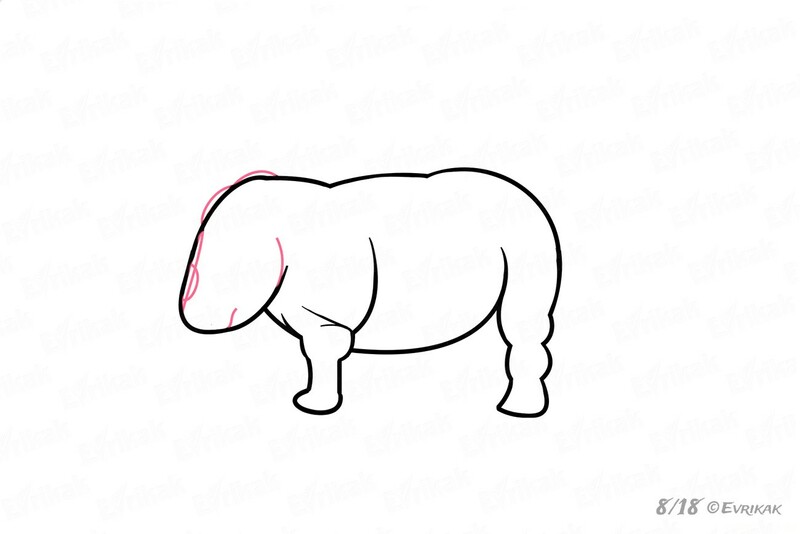 Correct the head’s contours. Erase the unnecessary details and follow the instructions attentively. Add another small horn next to the first horn at the top. Draw short ears now, pointed at the top. 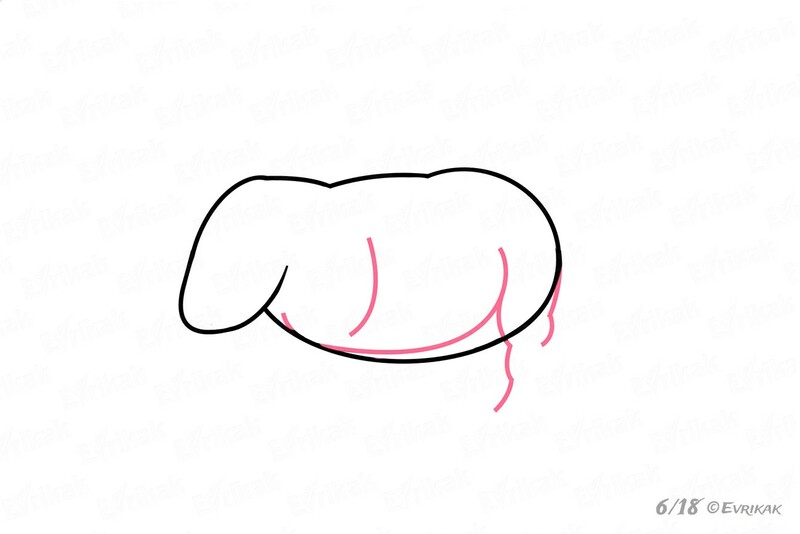 Draw a short tail from behind. Add small lines which make the drawing more realistic. Color the rhino in gray shades. 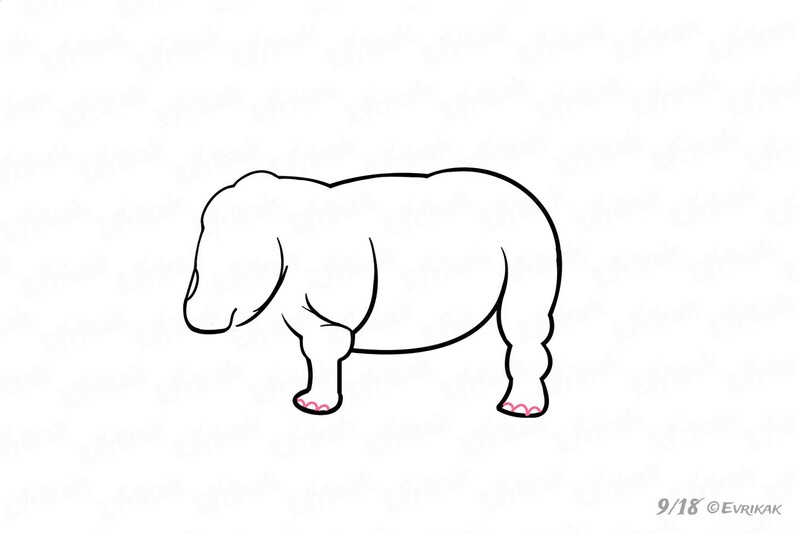 Try to draw a rhino online. 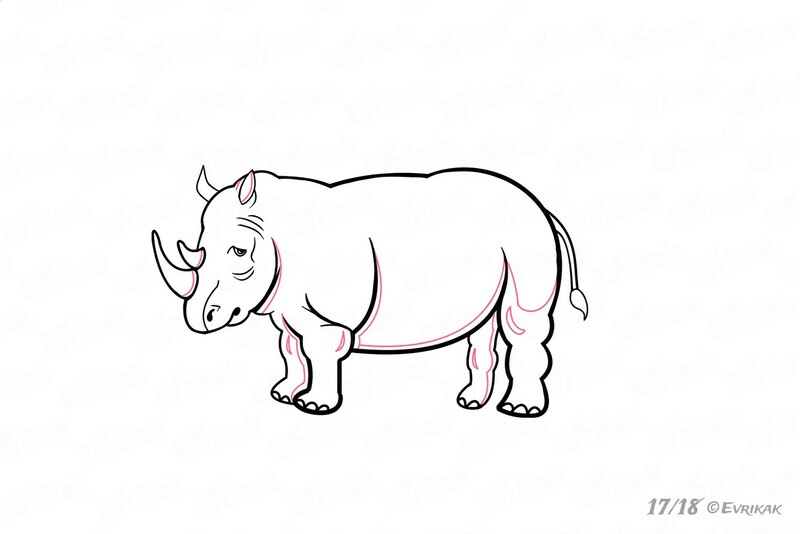 Or color the animal online on our website. 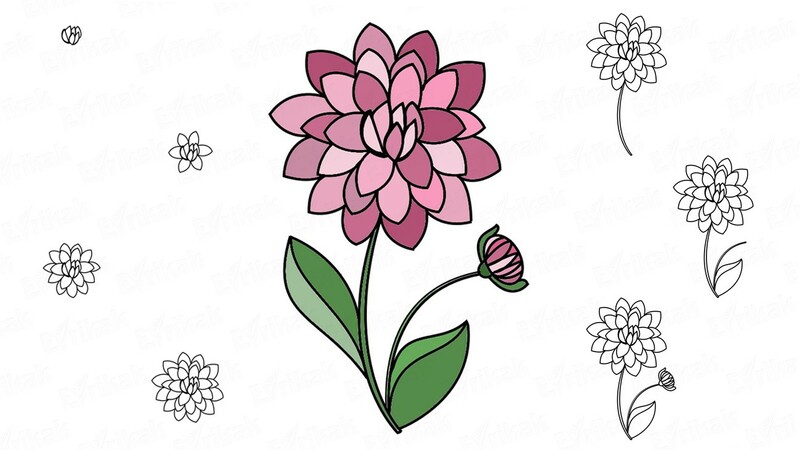 We have prepared an online-coloring specially for you.